It is easy to get lurked in by all scams online that sound so good. The people behind these scams are professionals that know exactly how to make it sound legitimate and how to get you on the hook. Some scams are sophisticated even. To help you get aware of some top scammers, I have composed this comprehensive list of work from home based scams and online marketing scams to avoid. The following list is comprised of scams that have been around for years, as well as scams that are newer, and more complex. They turn to you that are searching for a way to make a living from home, or just want to increase your income with some extra $$$. Branding scams are becoming more popular and are created by copying a brand to trick job seekers into thinking they are the real company. Fake Identity scams are similar to branding scams. People or groups of people pose as a company despite the fact that they have NO affiliation. An example of fake identity/copycat scam is the alarming Amazon scam you might have seen on the news recently? Scammers sent out emails with Amazon’s logo telling Amazon account holders that they needed to update their payment profile because of some internal issue on Amazon, and then the scammers ended up stealing people’s credit card information. It may not have been processed exactly like this, but this was the information I heard on the news. My advice is to watch out for emails telling you to give out your credit card or bank account information. Never give out any personal information through email. Instead, you shall login to your account with the specific company and check if you have received the notification internally from them. Always look at the web address or URL. If I take my website as an example – if it does not say makealivingfromhome2017.com up in the browser’s address field, you are not on my site. Little differences in the URL/web address can lead you to a potential scam website, or copycat. Pay attention to little details like an extra letter, character or number in the address. Even a slight difference like this is an indication that the website is fake: makealiving-fromhome2017.com. Did you notice the difference? It is only the dash sign in the middle that is different, but it is definitely not my site. People that are not used to technical aspects of domains, web development etc., may not pay attention to this little indifference and scammers take advantage of that. Social media, including LinkedIn, is getting huge for job searching and recruiting. Yes there are many legitimate recruiters that advertise on LinkedIn, and also on other social media platforms, like Twitter, Facebook and Google+. However, do your research of the company before putting a lot of effort creating a cover letter and resume, because scammers do use these platforms as well. Wherever there are people, there are also scammers. Phishing scams can happen anywhere. Through emails, texts, phone calls, instant messages, anywhere that they can try and get hold of your financial information posing as a legitimate company. A piece of advice, if a job you are interested in is requiring you to click on a specific link or, is asking for detailed personal and financial information, it is most probably trying to collect your sensitive information for malicious use. Not only is money movement or transfer a scam, it can also land you in some legal hot water. There are no legitimate companies or jobs that ask you to accept money, keep a portion of it, and send the rest on. It Has “Scam Alert” Written All Over It! I get tons of emails from people or, businesses asking me to help them with a large money transfer that will leave me richer. Another version is emails saying that I have won a lottery, and need to claim my money. How can you win a lottery you never partaken in? I press delete as fast as they enter my inbox, and please do so too if you do not wish to end up in some legal matter, or maybe even in personal bankruptcy. Nowadays you get lots of text messages with different offers and discounts. I always wonder where the “h…” they got my number, but then I realize that today’s technology has made it possible to connect with people everywhere, regardless of location. Some job scammers also send out job opportunities through text message, or instant message. If you think about it, it is not that difficult to spot those scammers, since I doubt that a business that is seeking work force would just send out a text to a bunch of random people. Often, they want to minimize the amount of applications and are making the experience needed almost impossible to fulfill, and also use legitimate websites to post their job ads. If you have to pay for registration, a startup fee, or straight on pay to be hired, more than likely the job is a scam. A legitimate job pays you, not the other way around! “Make $5,000 a week in just one day!” If that was true, everybody would be millionaires. To earn money takes work, effort and time. Only a scammer tells you otherwise. Similar to money movement, package processing could be borderline illegal, requiring you to receive, process, and send packages of which you have little knowledge about. What if you are processing something illegal and the customs makes a spot-check just that once when you are involved? Oooops, no good! These scammers are promising people work to assemble products for different companies. This is a red flag right away… They often offer these assembly opportunities with the condition to first pay for a list of companies looking for assembly services. Do you remember what I already mentioned? You should never have to pay for a job. The job/employer has to pay you! Also, once you pay for the list, you rarely find the work that was promised. This can seem like an okay job when in need of some extra money, but these companies (scammers) rarely pay out what they promise. You may work hard and monotonous for nothing. When applying for jobs, try to keep track of the jobs you apply for, and make sure they offer an interview before the hire. This is especially helpful because one of the scams involves receiving unsolicited job offers. Do not accept any jobs or, offers if there have not been a “real” employee selection process with an interview, possible personally tests etc. I would be alarmed if they do not care to look at your prior experience, or tell you that you do not need any. You think you have found a really desirable job, but when talking about it with your friends and they look like question-marks telling you that they have never heard of the company, you bounce back into your shoes and decide you better look it up. You cannot find anything about the company. Zip, zero information…nada. Know that if there is no phone number, no address to a physical location, or any website that can be verified, you are unfortunately experiencing a scam. Most companies as of today has a relevant website and at least 1 or 2 social media channels. If you cannot find any web presence, it does not seem promising. If it is a legitimate company or recruiting business they will send you or, direct you to an email with the company name/website address in it. If it would be an email sent from my online company, it would look like: [email protected] or, [email protected], not a personal email address, like Gmail, Yahoo, AOL, iCloud, or Outlook. However, there are some small businesses that still have not developed a website and a web email, so do not judge solely from this. Try looking or, asking for a phone number, and an address to look them up. When I first arrived to Miami, Florida from Sweden, I got offered to start working as a marketing manager at a meal plan delivery company called, Ultra Meals. I do not know if they are still in business. I would doubt it with their unstructured organization and way of scamming their customers, and employees. They never showed up on time with the delivery to customers and sometimes not at all. It was always food missing, or the wrong food from what was requested on orders. Their website is down, so I guess they could not keep the mess and facade up for long. Anyhow, I found it a bit odd that the manager did not really care about my prior marketing experience. I mean, I was highly qualified for the job, but to him it did not seem to matter. Another red flag…he wanted me to start on the day. Normally, they have a bit more planning ahead, and maybe ask you to go through a training process before jumping into the hot water. He badly needed me to start on the spot. Coming from Sweden with a totally different work mentality and morals, I thought this is how things work over here, and jumped head in. I was working my “a…” off for 3 weeks, 12 to 15 hour days, but did not get paid a single dollar! Not a cent! I got alarmed when they told me from start that they pay out salaries every 2nd week, and I still had not gotten any payout the 3rd week. I did not like how they were running the company or treated their customers, so this together with my invisible paycheck, made me take the decision to quit the job. I tried hard to collect my earnings that I deserved from those 3 weeks of HARD work. I was told every time that the money was going to be deposited into my account later the same day we spoke, but it never happened. And let me tell you, I spoke and emailed the manager several times with only empty promises. You can say that I did not get the best feeling of the work mentality in Miami after this first experience. However, shame on the person who gives up! I was back on my feet soon again, with way better adventures and possibilities. Every little miss-happening have taken me where I am today, running 3 businesses online. Online marketing, also called affiliate marketing, is getting huge in today’s internet era. With a growing market, more scammers also show up feeding off of people who are a bit lost and eager to find an income online. I will guide you through the online marketing jungle and highlight some red flags to watch out for. I did the mistake recently to subscribe to a free trial of an anti aging skin care product. I wanted to try a product that seemed very promising and fell for a free trial offer of Illumagen Anti Aging Cream. What I did not research and discover was that you had to cancel your free trial within 14 days, otherwise they would charge you the $94 that the product actually costs. Of course, I had not noticed this disclaimer, also because it was in such small text that it was impossible to read out what it said. I got so surprised when I noticed they had charged $94 from my account after the 2 weeks. I called customer service and asked what they “h…” was happening. I signed up for a free trial, nothing more! The man that answered explained in a polite manner that the free trail had to be cancelled before 14 days to not get charged for the cream. I questioned him and said: Explain to me how it can be a free trail since you end up paying for the product after 14 days, AND the FULL price?! He answered that they only gave me a chance to try out the product for these 2 weeks, and then I should have known to cancel if I did not like it, or did not wish to pay. Basically, they lend you the product for a while, or just postpone the payment for 2 weeks. There is never a FREE trial, remember that! You always end up paying sooner or later, or get stuck in a continuous monthly memberships you hardly cannot get out of. 16. Buy This T-Shirt For 0.01 Cent Only! You have probably seen a lot of similar offers online. This is an example from Amazon.com that I have been fooled by a couple of times, but luckily turn around when I discover the HIGH shipping cost. What these distributors do is that they offer the product, in this case this purple T-Shirt, for next to nothing – sometimes for free – and then they charge high shipping fees, which pay the value of the product itself. For this T-Shirt it came up to about $13 in shipping cost. This is a smart move if you do not pay attention to how expensive the shipping became all of a sudden, and do not know a regular price span of shipping a product like the one you are purchasing. Get this training book for free – only pay for shipping – and then they try selling you more and more, since you now are a loyal customer. If the affiliate marketing programs or network you are joining is trying to up-sell you another software right after you have paid to join the program, do not! Claim your money back and look for another legitimate affiliate marketing training program instead. There are very good ones out there! You just have to find the right program. The developers, or owners, of these type of up-selling platforms will continue trying to convince you that you need to pay for a better and better program, and you end up spending more than you earn. You are not supposed to pay more than the possible base fee as a premium member to get support, websites and hosting, specific tools, training etc. It should all be included in the monthly registration fee and not continue to increase! There are some affiliate programs that are trying to operate under the same structure as MLM (multilevel marketing) companies. The difference is that while some MLM business are legitimate, these are just pyramid schemes. They are only constructed to make the founders, and the early adopters rich, and make it more or less impossible for people in lower levels. In other words, if you get involved in a program, which relies on you buying into the program and then upgrade to more expensive tiers, to finally promote the same program to other people, cancel and get the money back fast as lightning. ⇒ Is NuSkin A Scam? Hear It From My Own Experience! Yes, unfortunately this is true. Some affiliate programs make it almost unattainable to get hold of your commission earned. How can you know what program to trust? Yes, that is a good question. My recommendation is to always read reviews from other people that have tried the program. You can always make a judgement bases on other people’s experience. That is what I did when I found Wealthy Affiliate. They had only good reviews out there, and they also had so many reviews from different people that it could not been “fake reviews”, believe me fake reviews exists too. Wealthy Affiliate’s reviews were from all over the world, and I figured that a company that is global has been in the game for a while and must be legitimate. Make sure to do your research about the company before you join. There are some companies that have been going out of business, and could not pay out commissions owed because of that. Wealthy Affiliate has been on the market since 2005. Kyle and Carson that developed the program are good for so much money that they do not have to lift a finger ever again. What I am trying to say is that the program is here to stay, and is continuously growing with members world wide. I am not with Wealthy Affiliate anymore. In fact, the last year I have been on my own. Despite the fact that the training is good, I felt that the fee of $49/month was a bit high in the long run. I was also disappointed that the monthly fee does not get discounted when you market their bootcamp (their training program). The bootcamp is not really converting either, but they get enormous marketing and exposure from all their affiliates, which deserve subvented memberships. Dropshipping crossed my mind a while ago, so I decided to look into it a bit further. Drop shipping is a method of buying and selling products that requires very little investment from the person deciding to give it a go, and not too much effort either, which can seem tempting at first. You find a product to sell in the dropship catalog, or on for example eBay. You sell the product online for a higher price than the original cost. You forward the order to the dropship company/supplier. The dropship company completes the order and ships it to the customer. You keep the in-between difference/profit. For example, if the product originally cost $40, but you sell it for $50, you get the in-between difference of $10. However, the sad truth is that for this profit of $10 you also have to pay eBay an referral fee of 10%, plus a PayPal fee. After these fees you hardly have any profit left. Also, often the dropship companies offer too high sales prices, above the general sales prices on eBay itself so when you have to add even a higher price to get your profit, it is almost impossible to make the sale. On very popular items, you may end up with a loss instead. In short, drop shipping is not wholesale prices! To get wholesale prices, you have to be able to order large volumes, and register for a resale license. Not a single product at a time. Wholesale is about quantity… Period. Expecting to buy just one of an item and to get it for the same price as a company that buys 100,000 is a bit naive and hardly a reality. The fact is, what seemed to be little effort will turn to effort that do not pay off. You end up spending valuable time you could devote to something else that DO PAY OFF. ⇒ Update On Dropshipping – There Are No Limits! I have also tried to private label my own product, sourcing it from China. It was a fun experience, but very time consuming. 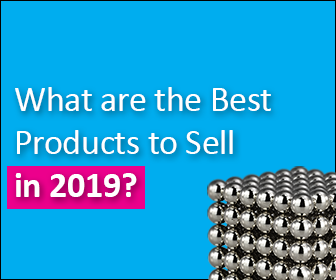 Basically, I would say that you spend too much time on developing one product when you can find several other products to do great business from during that time. My #1 recommendation if you want to start your own eCommerce store is online retail. This is the eCommerce model I focus on as we speak, and where you can make the big bucks. With online retail, you are only selling brand name products. Products that are ALREADY SELLING. No need to spend money on marketing with this business model. ⇒ eCommerce Lessons Learned – Online Retail Is The Way To Make The Big Bucks On Amazon! ⇒ How To Start An eCommerce Business In 2018 – 10 Step Checklist! Let me start by saying; there are NO legitimate GET-RICH-FAST solutions out there! Those offering you to become rich in a week, turn $5 into $5000 and so forth, are a scam!! Period. If it was such a thing out there actually working, all people would have stopped their regular jobs, and become rich as we speak. Although, there are lots of scams in the affiliate marketing industry, and online in general, there are plenty of programs that truly will help you start a successful online business and keep it flourishing. The opportunity within the affiliate marketing industry continues to grow each day. There are so many legitimate affiliate programs, such as: Amazon Associates, shareasale.com, Clickbank, eBay etc., where you can market and sell their products and services, and get a commission. You can promote MILLIONS of different products as an affiliate, and build your business within any niche that you want. However, to do so we all need training! We need to learn how to get there, and what it takes to become an affiliate marketer. What are the tools needed, and so on? Yes, a personal coach is absolutely the fastest and most efficient way of developing a successful business online, within the shortest time frame possible. I will personally help you get started, teach you all there is to know about affiliate marketing or eCommerce, and will be your support system all the way through, if you so wish. I will help you with everything from building your own website/blog to educating you on the hidden “must know” aspects of affiliate marketing/blogging or eCommerce. Know this! You will be the one setting the number you want to earn depending on how far you want to take your business, and how hard you are ready to work. It will take effort and you will not start to earn money tomorrow, but it WILL happen and is NOT FAR AWAY! Work from home scams and online marketing scams to avoid in 2017. Check out my comprehensive scam list. Is Wealthy Affiliate a scam? Is drop shipping a scam or legitimate business. Liquid Web High Performance Dedicated Servers Special from $203/mo – Hurray put to 56% off while supplies last! Fast SSD with 24/7 Heroic Support.